Our services are available to clients looking to ship boxes, furniture, excess baggage, general house content, pallet delivery and even heavy machinery. The service can come with a fragile or full packing service. Each client can also pack his goods. Our UK to Germany shipping companies will transport your belongings from anywhere in the UK as well as from anywhere in Germany to anywhere in the UK. It costs you nothing to compare shipping quotes and it will allow you to see how much money you could save using different freight forwarders. Private individuals use our website to to compare shipping costs to Germany form the UK. Most common is comparing delivery rates for sending boxes, furniture and other household content. 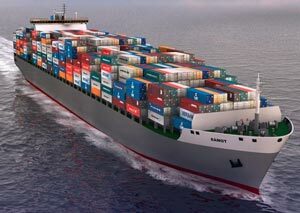 The prices offered by our international shipping companies are very competitive. Business clients usually ask us to ship full office content - chairs, desks, filing cabinets, computers, stationery cupboards, reception and meeting room furniture, files and servers. We also offer cheap shipping to Germany of heavy machinery, full warehouse and factory relocations. To find out how much is shipping to Germany from the UK please use our online form, chat to us online or simply give us a call. All quotes are free and no binding offers. Shipping costs to Germany from the UK are calculated separately for each transport. There are no two shipments that are the same. The following factors have the biggest impact on the final price - Time of the year, time of the collection and the delivery, distance to the port and from the port, size of the cargo, value of the load, requested services - insurance, packing, storage, shared or sole use container shipping, sea or air freight, collection and delivery logistics, cleaning, skip hire, furniture disposal. When is the right time for me to start comparing shipping costs to Germany? 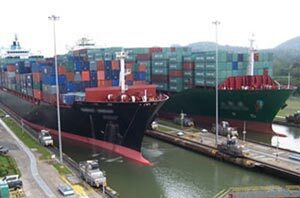 You will never be too early to compare International shipping companies. However we advise that you do so at least 2-3 months in advance. This will help you get competitive quotations from the companies, and you will have enough time to compare other shipping services such as storage, packing, boxes supply while you perfect your relocation. In what way can a shipping quote be arranged? You can get average shipping costs to Germany estimate by clicking on the Quote request option on our website. You can also get our free home survey and cubic volume evaluation service under no obligation. For Full 1, 2, 3, 4, or 5 bedroom house content shipping from the UK to Germany we will send our professional sales consultant to your home to discuss with you your international boxes and furniture delivery. Our shipping agent will advise you on how to pack, explain solutions and access to any type of special packaging needs and advise you on the best mode of sending boxes and furniture. One of our staffs will discuss with you all the necessary permits for hazardous goods, liquids and weapons. Once the home survey has been completed we will be able to tell you how much is shipping to Germany from UK. It would be good if you could prepare for to visit of our relocation consultant. You need to know what furniture, personal effects, books, tables, chairs, sofas, beds, wardrobes, washing machine, cooker, oven, fridge, freezer and other things you want to sent before the arrival of our international freight and cargo forwarding consultants. The relocation manager will walk with you around all your house and take the exact inventory of everything you are planning to ship. The inventory list will include all biggest items and household goods destined for shipping by sea or air. For items you are not planning to take with you to Germany we can offer a skip or recycling services. Issues related to the final delivery will also be discussed with you. The shipping costs estimator will also asses the number and the type of shipping boxes that will be required to hold all your small items like books, ornaments, cd's, documents, clothes, kitchen items, glassware, cutlery, small electronic equipment and other personal effects. Please note that if you will not be able to tell us exactly what you want to take we will be able to provide just approximate costs of shipping your domestic goods to Germany. Check this page if you are moving to Hamburg. If you do not wish to book the survey you can simply fill out our cubic volume calculator. It's a simple spreadsheet file with a list of all domestic items. You simply put the number of items in the right column and see at the bottom what's the total volume of your move. We will ask you to email us the inventory list or just the total cubic volume. What information are included on the free shipping costs estimate? Our UK to Germany shipping quote will be personalized to your requirements. We know that each move is different and one shouldn't expect two quotations to be alike. The main information to be included in your boxes and furniture delivery quotation will depend on the preliminary survey that has been conducted at your shipping from premises and the services you have requested. A typical international delivery costs estimate will include; export packing at your residence by our professionals, movement to departure port or airport, custom related charges, port charges to destination and from UK, shipment to your final delivery address. Quarantine and clearance charges , and other related charges, movement of your item to your new address (at the first floor), and the unpacking of your furniture as well as elimination of packing materials. To make it easier for you to compare average shipping costs to Germany from London, Bristol, Cardiff, Brighton, Liverpool, Leeds, Birmingham, Manchester, Glasgow, Nottingham, Leicester, Edinburgh, Aberdeen, York, Newcastle and other cities in the United Kingdom our quotes will include the resource schedule, packing services rates, time-scale, wrapping materials and shipping boxes costs, insurance, mileage charge, port fees and separate costs of any additional services that have been requested. Is it compulsory that I pay VAT? What notice is required to book the shipping service? A number of factors will determine your shipping date, these include; the ending of your home lease, completion of the sale of a home, and new job commencement. You must know that our 5ft, 10ft, 15ft, 20ft and 40ft container shipping to Germany from the UK services can be very popular on certain dates. There are quite a few days in the year where literally everybody wants to relocate. If you leave the booking of your furniture and boxes delivery to Germany to the last minute we may not always have the availability. That's why it is very important you contact our cheap UK to Germany shipping companies as soon as possible to book the delivery service. However there are periods when we are very quiet and we can provide the service at just 1 day notice. If you are looking for cheapest shipping rates and prices we advise that you notify us as soon as possible and you try to avoid shipping on a Friday, weekends, during the summer breaks, bank holidays, Christmas, Easter and New year time. We also offer man and van to Berlin. When do you expect me to make the full payment for the shipping? Your written confirmation of the booking, alongside a deposit will be expected from you. You can check details of these on our quotation. We will give you a receipt of your invoice after packing and then we expect you to make payment balance afterwards. Credit card, debit card and bank transfer are the basic and main payment methods we accept. If you are paying by cheque, you must issue it 1 week before the shipment. Does your shipping company collect goods from anywhere in the UK? Our cheap UK to Germany shipping services are available nationwide through our network of international delivery agents. We also provide collection of your goods within European territories and we ship to anywhere around the world. We offer 1 seater sofa, double bed, dining table, armchair, wardrobe, fridge, TV, boxes shipping to Germany from England, Scotland, Ireland and Wales. What's the best shipping option for me? When choosing the ideal shipment services for your items, you must consider several factors, these include; the volume of items you are moving, insurance needs urgency of the delivery service, route as well as your overall budget. As a large UK Shipping firms to Germany network in Europe, we get preferential boxes and furniture delivery rates from several sea lines, to any destination across the world. We ensure that we negotiate on behalf of our clients so that they can get the best competitive shipping rates. We also monitor door-to-door 5ft, 10ft, and 20ft container shipping services, however, the information provided here is not definitive, and you have to contact our team for a comprehensive guide. 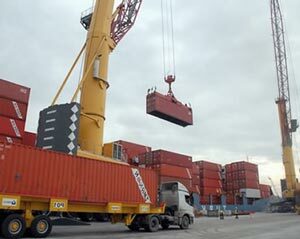 There are different types and sizes of shipping containers. The main two are 20ft and 40ft and they are standard ISO containers used by all sea lines, freight forwarders and haulage companies. All vessels and lorries are designed to lift and transport those containers. The other sizes available are 5ft container about 250 cubic ft, 10ft container about 500 and 600 cubic ft. Those containers can come in different shapes and sizes and are not standard ISO containers. In fact they are wooden crates designed and build to the size and shapes of goods shipped by different clients. Wooden containers can 50 cubic ft, 100 cubic ft of 200cubic ft, 250, 300, 400 and 600 cubic ft.
FCL (Full container service) - The exclusive shipping container service is most suitable for full house content shipping or for any large and bulky items. We will take care of the delivery of the container to your door step, pack your items in and seal it i your presence. The shipping container will be carefully delivered to the point of departure, and shipped to its destination via the next available vessel. We normally deliver the sole use container to Germany from the UK within 1 week, however this service is still subject to custom quarantine and clearance services. This type of shipment is also referred to as the (FCL) service. You should expect completion of shipment via exclusive container to take between 2 and 4 weeks to get to Northern America ,and up to 7 weeks maximum in Australasia. We also do shipping to Cologne. The Groupage container shipping service is economical and provides an alternative to full container transport to Germany service. With this , you simply share spaces within a container with other senders. This service is available only if sufficient volume of space is available but you only pay for the space your items use. As one of the biggest UK to Germany container shipping companies we guarantee groupage delivery to all major routes of the world and shipment times may take between 8 and 2 weeks. Usually the container shipping costs to Germany from London, Bristol, Glasgow, Edinburgh, Preston, Nottingham, Cardiff, Leicester, Manchester, Leeds, Sheffield and other UK cities is much cheaper than container transport by road. We can provide next day delivery to Dortmund too. The (LCL) Less than container load shipping services is provided for clients that are not shipping a huge deal of furniture or boxes. We make use of our man and van services, sturdy packaging materials to package your goods and deliver them to the terminal where the goods are loaded by shipping line. The delivery time of goods to Germany is similar to shipping times offered under the sole use container service. One of the advantages of making use of Air freight services is that they are the fastest way of shipping to Germany and are most suitable for items that need a fas delivery. Tools for trade, clothes, sporting equipment, documents, wedding gifts and computers are some of the items shipped via air freight. Sending goods to Germany by air is not cost-effective and cheap if you want to ship big items like furniture, motorcycle, car, safe, machinery. The air shipping is suitable for small items like paintings, art work, antiques, boxes, personal effects or excess baggage especially if the delivery is to the inland regions. Consignments intended for air freight are export-packed, and then cargo-shipped for air transportation. Transit period for most air freight services to Germany from the UK is just a couple of days. Please follow this link to see more about moving to Frankfurt. Sea shipping services to Germany are also available. Sea freights is cheap way of shipping just to a certain cities like Bremen, Hamburg or Hannover as they are situated very close to the sea. When choosing best way of sending furniture like 3-seater, 2-seater sofa or corner settee, wardrobe, grandfather clock, coffee table or double bed you need to consider the fact that accessing most towns and cities in Germany by sea can be difficult or even impossible. In most cases the cheapest way of shipping to Germany from England, Ireland, Scotland and Wales is the delivery by road. For landlocked countries, we do recommend that you use our road trailer. The quickest, easiest and the cheapest way of sending things to Germany from the UK is international road transport. The shipping prices will depend on the volume of goods and the mode of transport on your budget for the whole shipment service. We always ensure that your items are export-packed, to get them through the pressure of transportation, regardless of the type of services you choose. Please be informed that transit time via the road is between 24 hours and 1 week. We also do oversized parcel to Germany. What Items are restricted and prohibited from shipping? Under the standard liability terms, there are certain items prohibited from storage and international transportation. Items such as foods, jewelries, alcohol, and explosives for instance are not allowed for shipment. Other items banned include; perishable items such as liquids, firearms, radioactive materials, and aerosol cans. Please consult our staff if you are unsure of what items are prohibited from sending to Germany. How to prepare for the shipping day? It will never be too early for you to prepare for the final international relocation day. Though we provide expert packers we advise that you start arranging your items early, therefore you need to disconnect all appliances, clear out your garages, cellars, and sheds. Make sure you defrost your freezer and clean all necessary items beforehand. When our packers and movers arrive it would be good that you know what items you will be sending overseas. We also offer skip hire, furniture disposal or home decluttering services. For more details please contact our removals to Germany from UK team. Will the shipping company make use of the most suitable packing materials? Our shipping companies will not save money on the packing materials and boxes. They will make use of the most durable packing materials because we know your items will be subjected to several hazards during the shipment. In order to ensure that your goods get to Germany safely, in good condition, we ensure that books, computers, mirrors, paintings, china, porcelain, glassware, TV and pictures are packed in special export cartons. Cheap packers and movers to Germany also make use of crockery cartons for items such as china, glasses and ornaments - these will be wrapped first of all in protective papers before packaging. We use linen cartons to wrap your blankets and pillow cases. We know that shipping to Germany will not be cheap if we do not package your goods properly. Any damages will cost us our good reputation. Any claims will increase our international delivery insurance cover. We make use of special cushioned bags to package your mattresses, settees and armchairs, while ply-blankets will be used in packing your rugs and carpets. Acid-free tissue papers will be used in packing silverwares, Bubble wraps will be used in packing fragile items such as glasses, crystals. We make use of special crates to package items such as chandeliers. Can your freight forwarders provide storage for my goods? yes, we can provide shipping and storage anywhere in the UK and anywhere in Germany. Customs may request your presence when clearing your goods, however you can request for our special secured storage facilities prior to shipment and we will ensure that shipment of your goods coincide with your arrival overseas. We can arrange for special storage for items you leave at home and the ones being shipped to Germany. Our storage facilities have 24-hour security cover, and you are more than welcome to tour our facilities at any time. Here you can find some info on shipping to Essen. UK to Germany shippers do everything within our powers to protect your goods while in our care. We will advise that you get a shipping insurance cover in the value of cost of replacement of your items in Germany. We provide marine transit insurance cover that will cover any damages in transit or while packing and unpacking your items. The insurance may also be extended to cover your goods during the period of storage. You can contact us to fill a form in regards to replacement values of your goods. Please try to check our terms and conditions regarding the international delivery Insurance covers. We also do removals to Munich. We have our destination representative on ground to contact you to formalize all customs clearance and quarantine after your goods have arrived. Our shipping agents in Germany will also finalize a suitable delivery date with you. 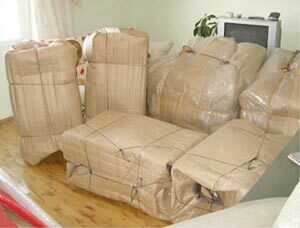 Our staff will remove all packing materials after unpacking and distributing you furniture in you new house. If the service had been included in your shipping quote to Germany we will also assemble your bed, wardrobe, sofas, bookcase and other furniture. 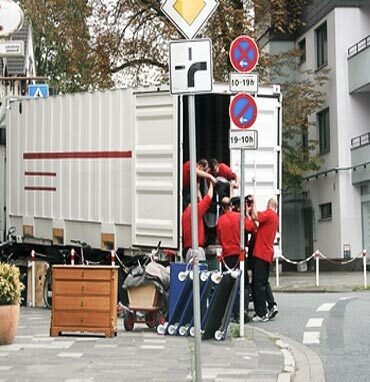 We also provide house removals Stuttgart.